Play Casino Holdem for real! The most familiar table games are Roulette, Blackjack, and Baccarat, and of course all can be played at the Netent Casinos, but what is an online casino without poker games such as Texas Hold’em, Caribbean Stud Poker and Casino Hold’em. Nothing, and that’s why all these poker games have been added too, although Casino Hold’em is an outsider. Not because of the game itself, which is quite popular at the Netent Casinos, but simply because it’s not offered in different categories like most table games are. This means there’s no Low Limit and High Limit version available, just a standard one. 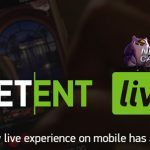 But no worries, because with bets between 1.00 and 100.00 there will be enough betting options to choose from, perfect for every average player at any Netent Casino. Just as Caribbean Stud Poker and Texas Hold’em, also Casino Hold’em is played against the casino. 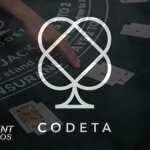 Thos table game is played in casinos all over the world, but also available online and of course Netent created a nice version too. Just as with the other poker games, there is a dealer involved, while no opponents are involved, making this poker variant very suitable for you if beating dozens of opponents during a tournament isn’t your cup of tea. Simply because that’s not the case while playing Casino Hold’em. All that’s necessary to win the game is to beat the dealer with a poker hand higher than the dealer’s hand. Not very different from other poker games, as they are very similar to each other. What makes Casino Hold’em so much more attractive? Well for sure the AA-Bonus, responsible for extra high winnings awarded thanks to this extra side bet, although it also b rings more excitement to the poker game. 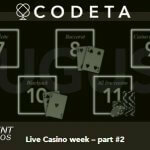 How to play Casino Hold’em? 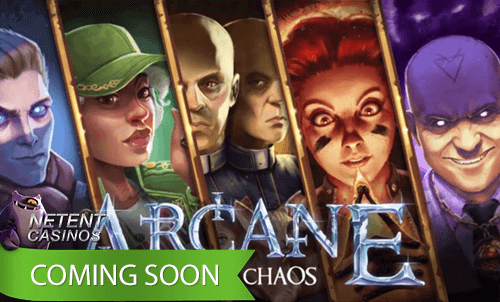 Every single game starts with placing an ante, and if preferred a AA-Bonus bet, after which cards will be dealt. You and the dealer will both receive two initial cards, after which additionally three community cards are dealt face up in the middle of the table, which is called the ‘Flop’. After you’ve seen your two initial cards, and the three community cards, you decide whether you want to call or fold. If you fold, you’ll forfeit the round and lose all bets as well as any possible AA-Bonus winnings, but if you decide to continue, your ante will be doubled. But before a call bonus bets will be paid out first, before the game continues. The dealer deals an additional two community cards, the “Turn” and “River”, and shows his own hand. To find a winner the dealer now compares his hand against yours. The dealer have at least a pair of 4’s or higher to qualify. If the dealer doesn’t manage, you keep your ante bet and call bet, while possible wins get paid out following the paytable. If the dealer qualifies, it’ll be a Push when both hands are equal to each other, and you’ll get back your ante and call bets. When the dealer is having a better hand, you’ll l lose all bets. When lucky, your hand will be higher, you’ll keep both ante and call bets, as well as your ante wins paid out following the paytable. To bring some extra excitement to this poker game, an AA-Bonus has been added. The maximum AA-Bonus bet is 50.00, which can be placed after the ante bet has been placed. Both bets stand on their own, although an ante bet is necessary to place the AA-Bonus bet. The results regarding the AA-Bonus is based on the poker value of your two initial cards and the three flop cards. The AA-Bonus bet pays out when you’re having a flush or higher as it pays 25:1. A pair of aces to a straight pays 7:1. 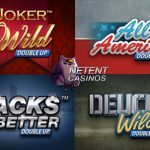 If looking for a standard poker game, not too hard to learn and without any complicating betting schedules involved, except for a simple AA-Bonus bet, you’re at the right place with Casino Hold’em which can be played in the standard version offering bets between 1.00 and 100.00, perfect for average players.